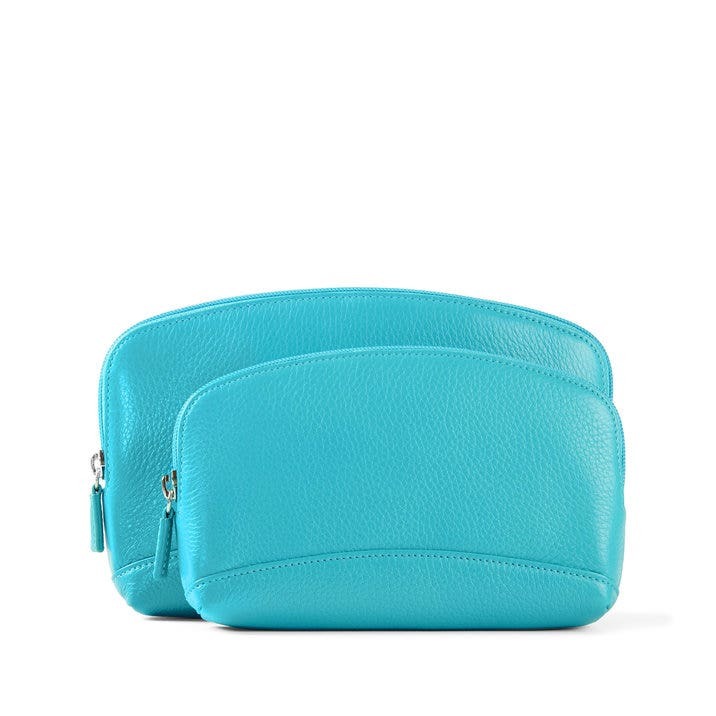 Stay fresh on the go with this Cosmetic Bag Set. This duo includes our zipped makeup bag in two sizes. 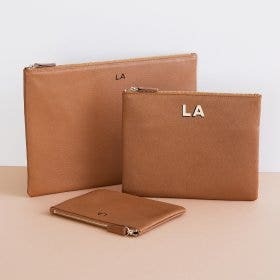 Perfect for your daily bag, the Small Cosmetic Bag is just the right size for your on the go makeup like powder or a favorite lipstick, while the Large has enough room to store your full face makeup while traveling. 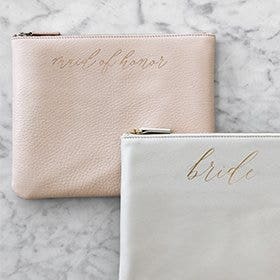 Both bags have interior wall pockets to keep smaller needs separate, like blotting paper or bobby pins.Each of the bags are available for monogram for and can also be purchased separately. Reference style 624 & 625. Great quality, perfect sizes for intended purpose (cosmetics/misc. 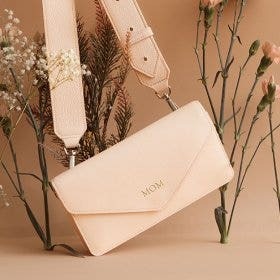 pouches for handbag), arrived quickly, beautifully packaged. I couldn't be more pleased and will be purchasing additional bags as gifts. Just what I was looking for and so much more. My daughter asked for a cosmetic bag for Christmas, however I couldn't find anything special in Australia. I bought two from you and they were just perfect. The packaging was the best I have ever encountered. I emailed anxious that they would not arrive in time, and you said they may not, but you would try your best. They arrived three days before Christmas! I am now going to purchase for myself. Thank you. 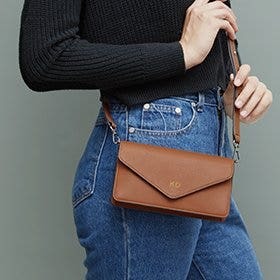 Perfect size for purse and travel! I am so pleased with the quality, look and feel of this product. I'm sorry I waited so long to buy these! 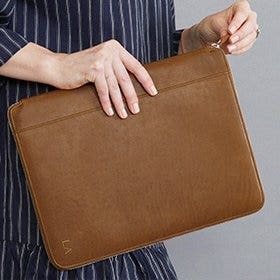 I'd recommend to anyone looking for stylish, well made, bags for their purse or wherever! I love these bags and use them to hold not only cosmetics but also other items that are loose in my bag. 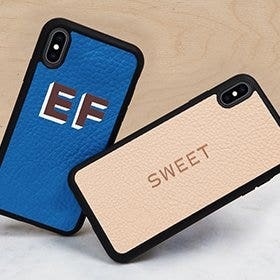 They are well made, the leather is beautiful. 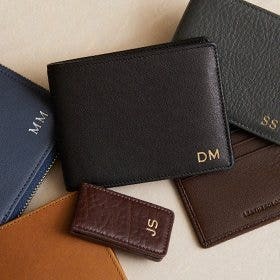 I only wish that I could buy a large wallet that holds my checkbook in the same color. 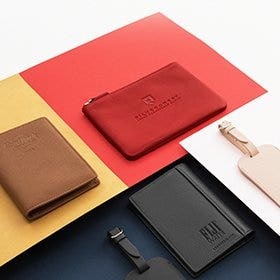 Please bring back a wallet in this color!! Beautiful packaging and craftsmanship. You feel very regal opening your order! Very nice bags. The boxed presentation was amazing! i am very glad I found Leatherology and will be ordering more in the future! I bought this for a gift. It appears to be of excellent quality and design. The packaging is elegant. Very impressive.